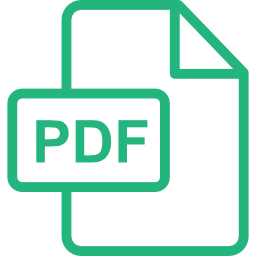 PDF Horoscope is the new addition to our APIs package. 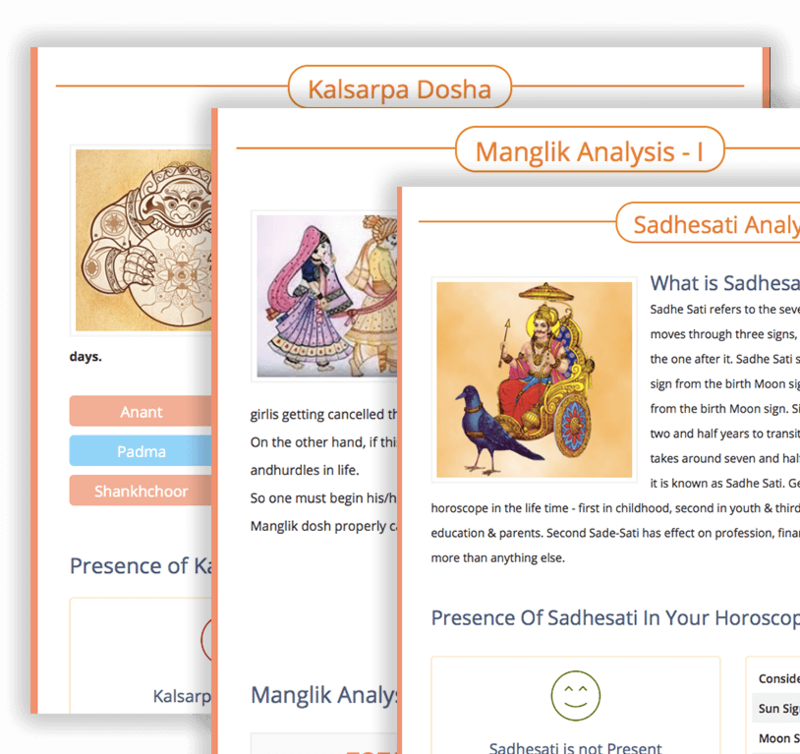 With this one API call, you get a 25-pages beautifully designed PDF Horoscope. The best part is you can customise the complete page and will have your branding and logo on each page. You will also get a full page to advertise about your products and services. Give it a try. You would love it. Ascendant Chart, Navmansha Chart and Moon Chart together making it easy for analytical reading. Besides this, the meaning and significance of each Chart has also been given for simplified understanding. Our Divisional Chart Page gives NINE different Varga Charts which cover majority of the most important and deciding factors of a person’s life. 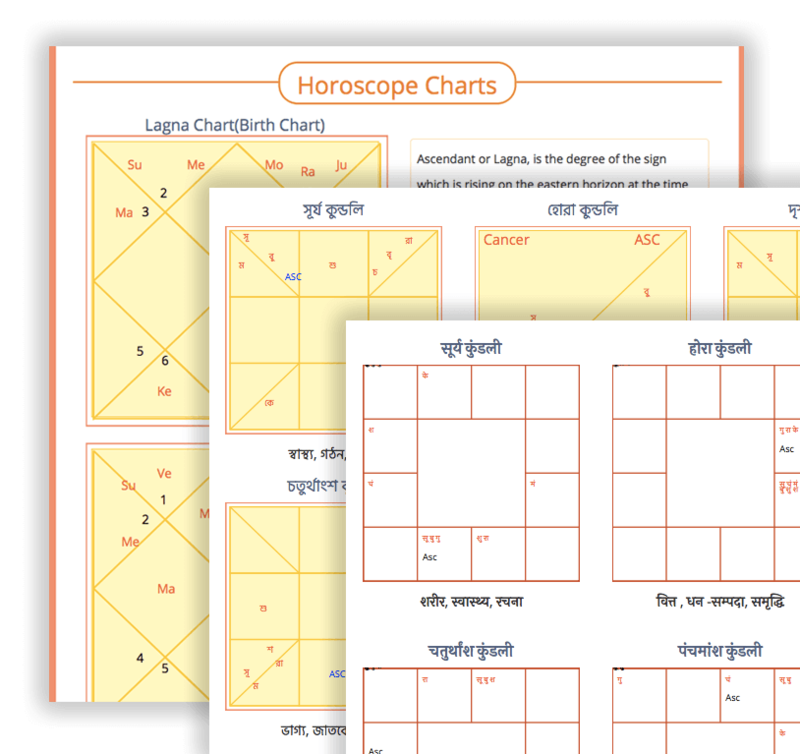 Each divisional chart identifies a specific nature and helps delineating the horoscope for comprehensive analysis. The Dosha pages related to Manglik, Kalsarpa and Sadhesati describes the meaning of respective Dosha and also explains in a lucid language its formation and effects. Besides, in case the Dosha is present, it gives an analytical report of the type of Dosha along with it effects and suggests the appropriate remedies for it. 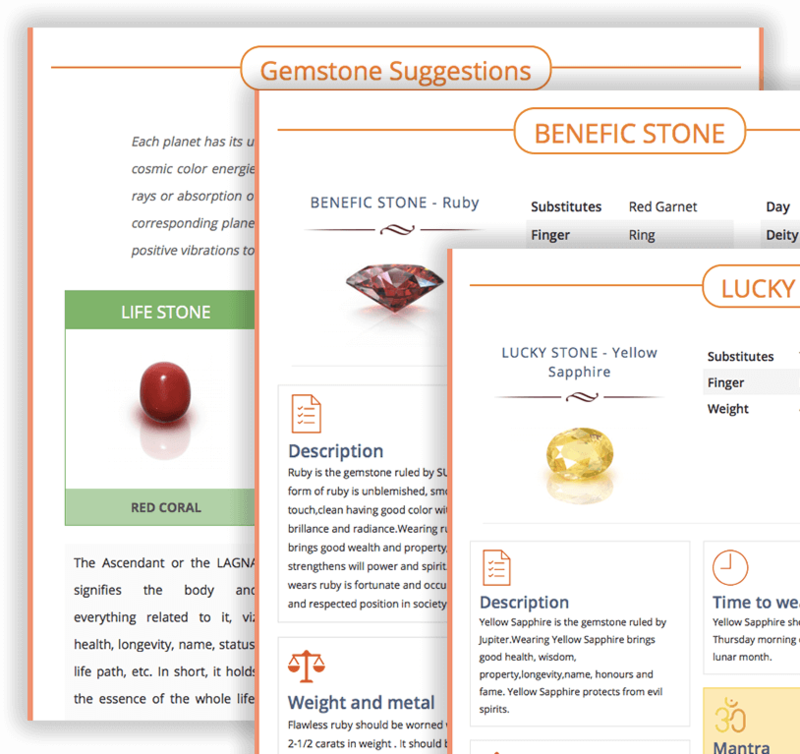 Our PDF report provides Astrological Gemstone recommendations for Life Stone, Benefic Stone and Lucky Stone. It also explains the meaning and significance of each of the three types of stones. Clear images of the related gems help the readers to identify the stones. It recommends the appropriate weight of the gem, the metal the ring should be made of, mantra to be recited, the day and time it should be worn, cautions to be taken, etc. 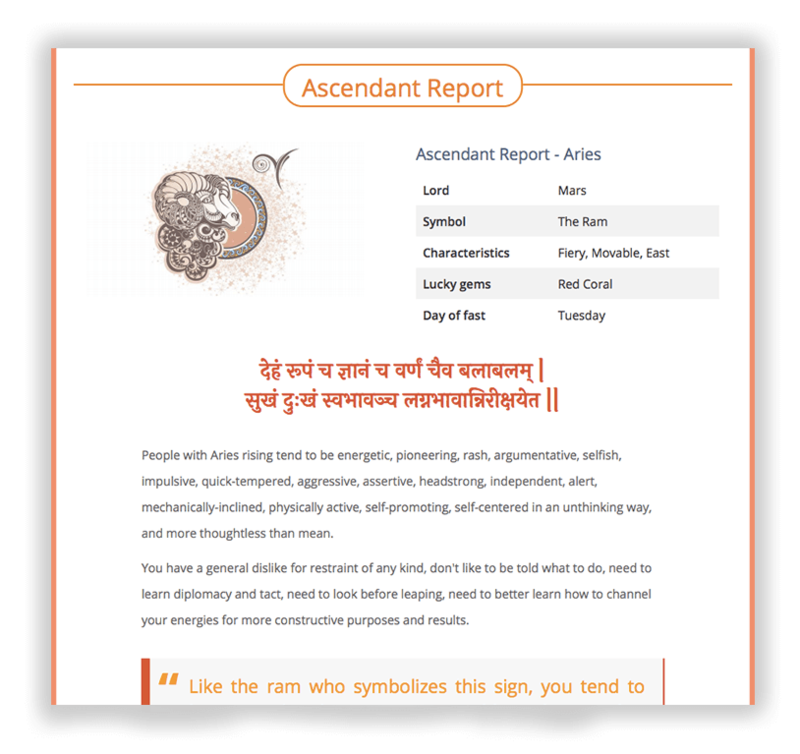 The Ascendant Report Page displays the Ascendant sign, its Lord, symbol, characteristics, etc. It then goes on to describe the characteristic nature, hobbies, appearance of the person born in that particular Ascendant. An important spiritual lesson to be learnt based on his Horoscope. This enlists the Positive and Negative traits of the person whose Horoscope is prepared. PDF Horoscope API is available in 8 Different Indian languages which includes English, Hindi, Bengali, Marathi, Tamil, Telugu, Malayalam and Kannada. Start your free trial today. Start serving PDF horoscopes for your customers.